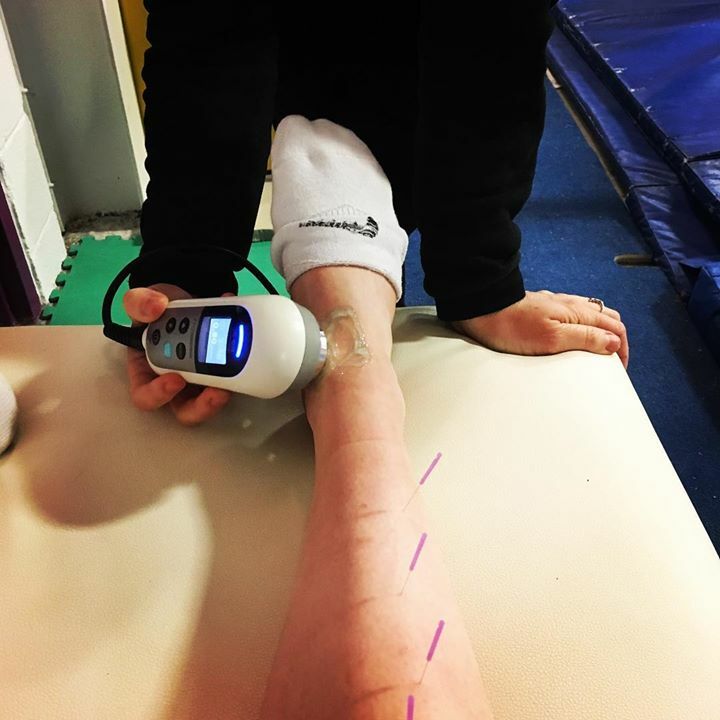 Registered physiotherapist Brenna Casey is a former National level gymnast, Canadian National Trampoline Team Member & 2004 Athens Olympic Trampoline Team Member. She has an abundance of experience as a gymnast and physiotherapist overcoming injuries, and is excited to share her passions for safe & timely return to sport and injury prevention with OGC athletes. New clients: Just create a new log-in using gymnasts name/info. On-site rates help timely recoveries and injury prevention strategies. 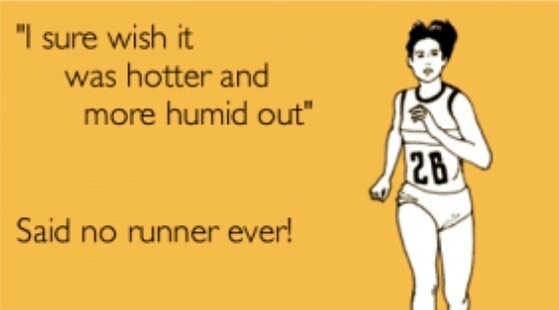 Appointments are 20min for $40, for OGC gymnasts only, in zamboni room. Credit card payments available online. Payments due each appointment. A receipt is issued at time of payment. It is advised you look into prescription requirements for physiotherapy coverage. For cases warranting further investigation, more in depth or consistent physiotherapy treatment may be advised to follow-up with Brenna at FL!P Physiotherapy Centre to ensure continuity of care. 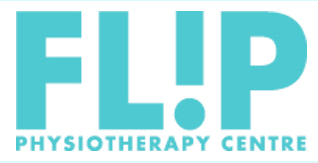 FL!P Physio Centre is located steps from OGC at 376 Churchill Ave. N, Suite 310. 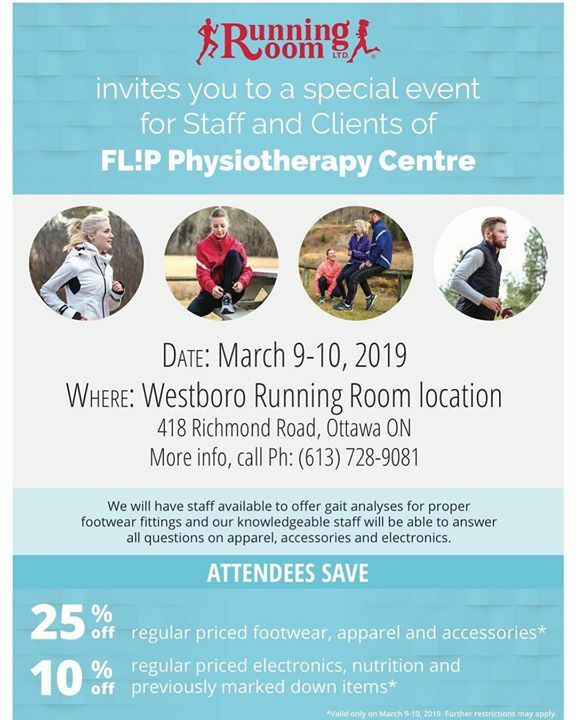 If you need any self-treatment tools, shoes, or fitness apparel, head over to Westboro Running Room and let them know you are a FL!P Physio client to receive 25% off all stuff (except electronics 10%). On-site treatment @ottawagymnasticscentre - getting g Miss @meaghansmiith ready for her #teamireland trials! 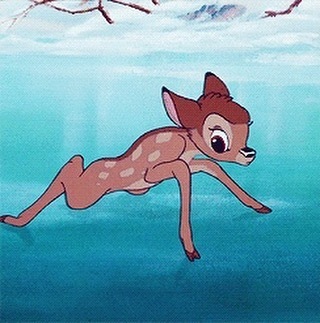 Winterlude may be over, but it looks like the Canal will be around for a while! 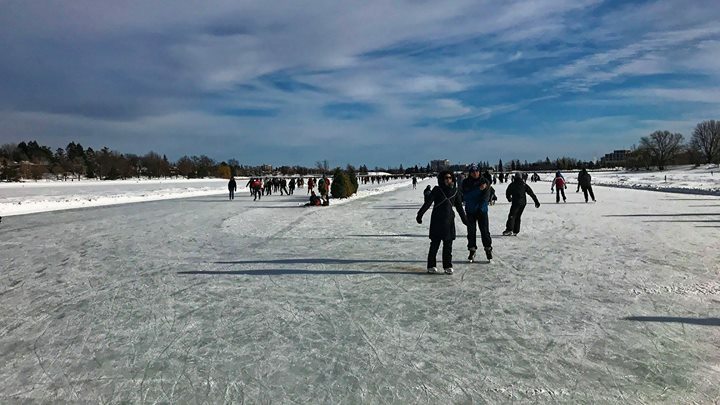 Enjoy Winter #ottawa and skate safely!